I was recently turned on to an episode of Rob Bell’s podcast which particularly resonated with me. In it, he talks about how moving through life is often like moving from one season, into the next. New seasons, he says, can actually be terrifying. You’re figuring them out as you go. Just as you got used to how things were, you are forced to figure out how the new stuff works. And saying goodbye to one season, can often feel like a loss. “New seasons begin and sometimes what you have to do,” he says “is grieve for the passing of the old season.” We all know what its like when we can’t seem to move forward and embrace the next thing (even if it’s objectively exciting – getting accepted into a university, a new relationship, a promotion), and often it’s because we haven’t truly said goodbye to the things we left behind in the old season. 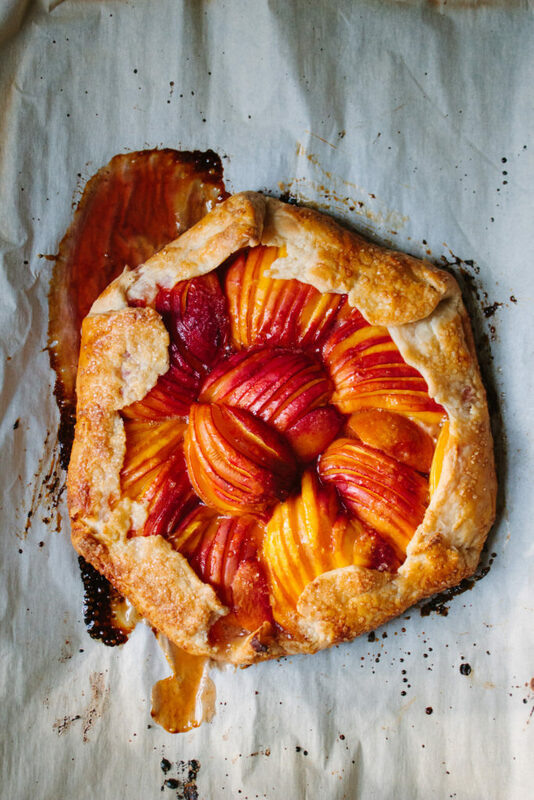 As we face this liminal time of year, this period when kids have gone back to school, but the leaves have not yet started to change, when there are still peaches and nectarines at the market and we’re not quite ready yet for apple pie, let’s say a final farewell to the last season. It’s ok to need to grieve summer. Keep your eyes open. You never know what transformation may take place. I followed Yossy’s Cream Cheese Crust recipe exactly. Can’t recommend it enough! Dough stays remarkably flakey no matter what you put it through. Also freezes well in saran wrapped balls. 2-3 tablespoons sugar (I’ve made it with brown sugar. Yossy recommends muscavado. I think that vanilla bean sugar would be amazing and will likely do this next time). 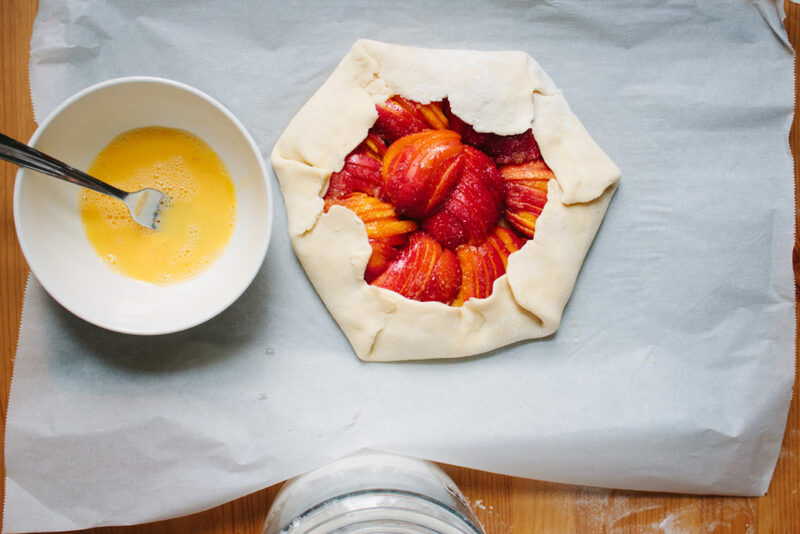 Make the crust according to Yossy’s directions. Store in fridge until you’re ready to use. 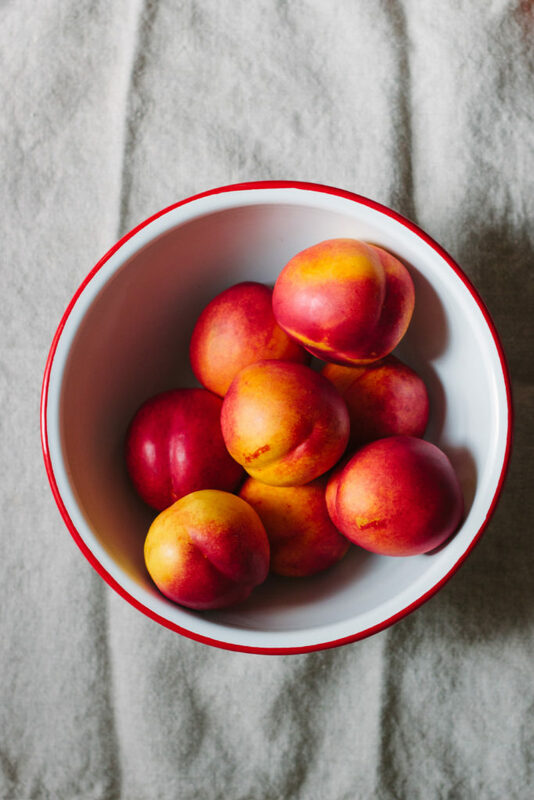 Slice nectarines in half, remove pit and then slide into 1/4 inch slices, keeping them bundled in their halves (it makes it easier to place them later). Roll out the dough on a well floured surface into a 12 inch circle. I often find my circle isn’t perfect, don’t worry. 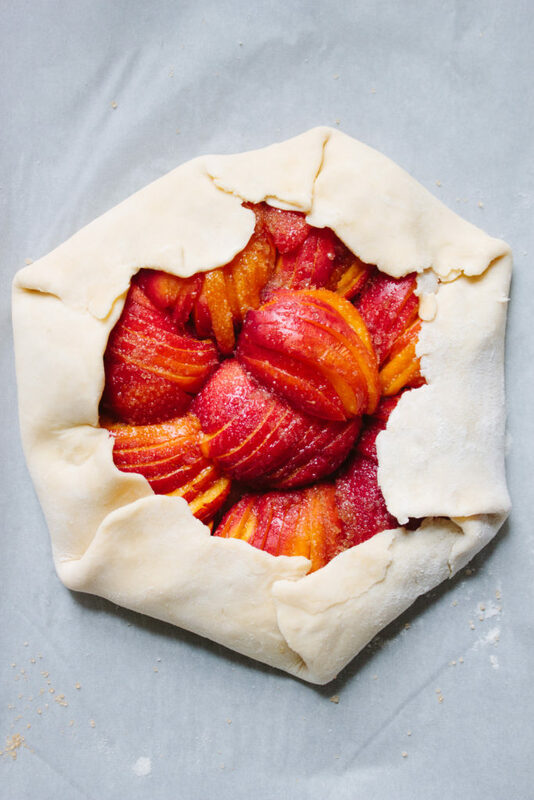 Transfer the circle onto a parchment paper lined baking sheet. 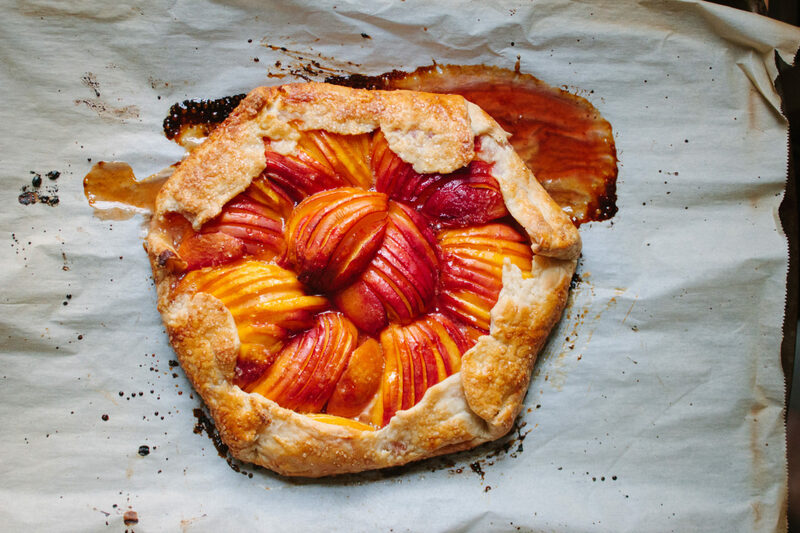 Lay the slices of nectarines over the area with the flour and sugar, in a way that looks pretty to you. Sprinkle over 1-2 more tablespoon of sugar (based on the sweetness of the fruit and your taste) and a pinch of salt. Squeeze the juice of the lemon over the top. Fold over the sides and child in the fridge for 15 minutes. Meanwhile, preheat the oven to 375 degrees. Remove from refrigerator, and brush with the egg wash and sprinkle on turbinado sugar. Bake for 30-40 minutes, until nicely golden brown. I like to err on the side of baking it longer rather than less. It’s ok if it overflows. 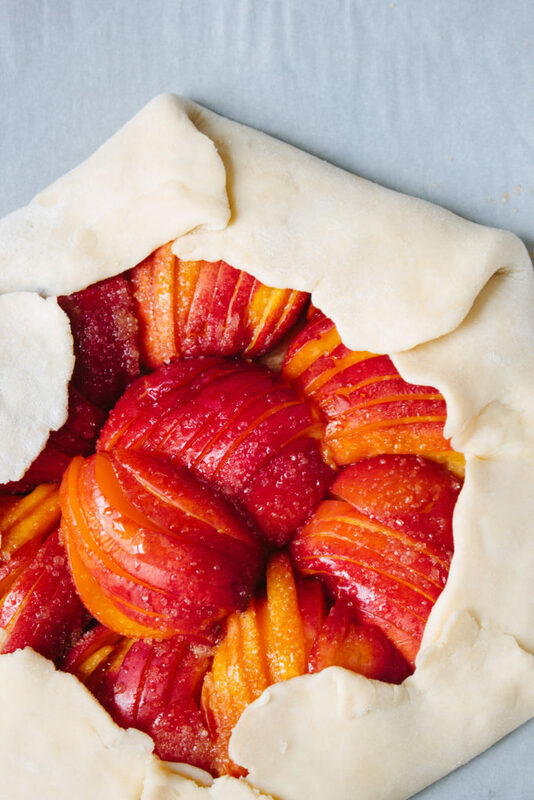 Let cool a bit before serving, as the juices will reduce as it cools into a nice jammy filling. Really beautiful post, Michelle. The only constant is change.